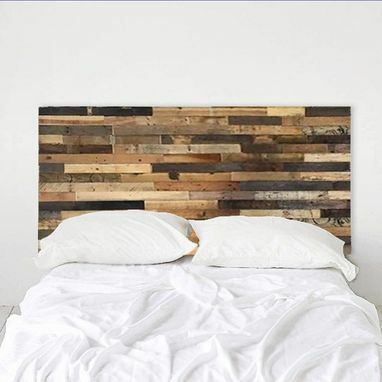 Hand crafted rustic modern headboard made from a variety of wood species. Each plank has been hand stained and strategically placed for a multicolored, randomized effect. Available in Full/Queen and King sizes.